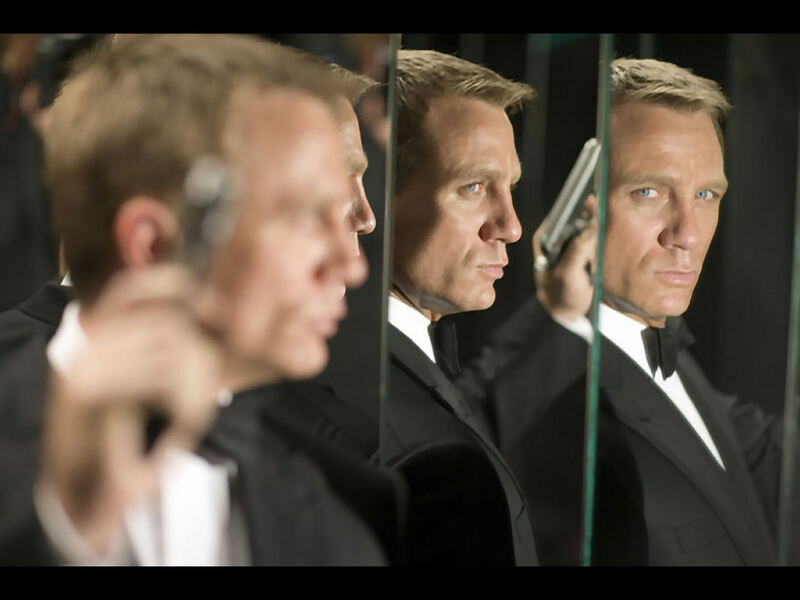 Skyfall is cutting back on filming at actual locations to reduce its budget, according to the U.K. newspaper the Mirror. "What do you mean, I have to fly coach?" James Bond producers have had to slash their budget and are shooting in Bognor Regis after scrapping plans to head for six different exotic countries to make the next 007 film Skyfall. Instead of distant locations such as India, China and Bali, they are using various UK beaches. Skyfall will also rely heavily on special effects and advanced sets at Pinewood Studios in Buckinghamshire. A source said: “To say some of the cast and crew are a bit gutted is an understatement. Back in November, the bosses of Eon Productions, Michael G. Wilson and Barbara Broccoli, denied there had been any financial cutbacks during a news conference. Later that month, according to the MI6 James Bond fan Web site, Ascot Racecourse was being used as a location, doubling for the airport in Shanghai. The same fan site had a story saying that sequences of Daniel Craig swimming in a pool were filmed in the U.K. but in the film’s story are supposed to occur in Shanghai as well. If the Mirror is to be believed, that trend will continue. However, it’s not like Eon hasn’t done this sort of thing before. You Only Live Twice’s first unit went to Japan and did the rest of its work at Pinewood. On Her Majesty’s Secret Service did location work in Switzerland and Portugal. From Russia With Love went to Turkey and Dr. No went to Jamaica. Few fans of those films complain about the lack of location shooting. Eon sent a skeleton crew to the U.S. but the exterior of Fort Knox was built at Pinewood and the interior was, of course, a Ken Adam-designed set. UPDATE: The Daily Mail HAS A STORY but it seems to mostly repeat what the Mirror reported without adding much, if anything, new. The MI6 Web site summarized the Mirror story while accusing the Mirror of fabricating the main quote. UPDATE II: The Guardian published an essay ON JAN. 19 essentially saying trimming Skyfall’s budget would be a good thing. But the story does nothing to verify the original Mirror story. Monday’s Guardian UK had a rather interesting, and unusual, story from the world of real-life espionage. Joanna Moorhead’s article concerns an artist who was tapped by Her Majesty’s Secret Service to infiltrate itself, sketchpad in hand, to (covertly) record life in the secret world of spies. What follows is a fascinating story of an artist charged with illuminating a dark world of suspicion, ambiguity, and intrigue. And you can read all about it at The Artist Who Spied on MI6, along with viewing samples of the work he brought in from the cold. There’s also a follow-up article, by the Guardian‘s security editor Richard Norton-Taylor, wherein his works are reviewed by the professional spooks that were the subjects of his study.